Fun times. I'm going back and forth from cleaning the house and being productive to doing nothing... At least something's getting done. Oh my gosh.. You're profile picture totally caught my eye. 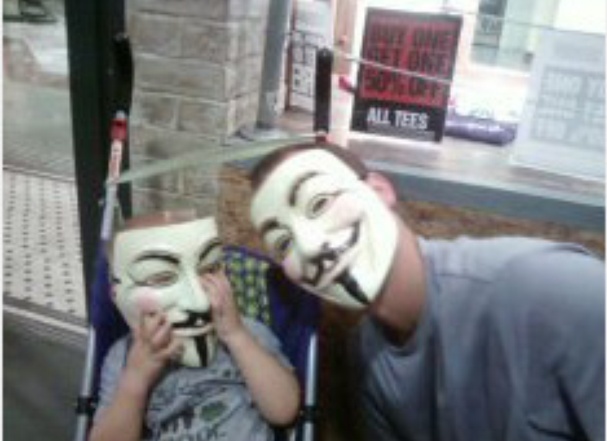 I love your little man with the Guy Fawkes mask on..
Father of the year award goes to you for sure!